Last edited by Imran M on Mon Oct 29, 2018 14:28, edited 1 time in total. Yeah, and the windows to lol. In conclusion, this building is too BIG!!! Oh Hey, you probably stumbled upon a 1 yrs old post. Thanks for the suggestions! 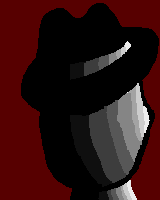 I'm not very good with pixel art. Wow, I just realized how bad it looks. I know! I'm thinking of doing it again. My avatar is so original.